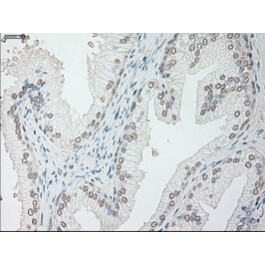 Mouse anti Human Interleukin-6 / IL6 OTI2C9. 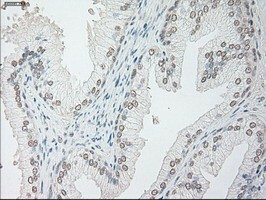 Product is tested for Paraffin Sections, Western blot / Immunoblot, Immunocytochemistry/Immunofluorescence. 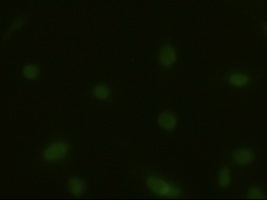 This gene encodes a cytokine that functions in inflammation and the maturation of B cells. The protein is primarily produced at sites of acute and chronic inflammation, where it is secreted into the serum and induces a transcriptiol inflammatory response through interleukin 6 receptor, alpha. The functioning of this gene is implicated in a wide variety of inflammation-associated disease states, including suspectibility to diabetes mellitus and systemic juvenile rheumatoid arthritis.